Other photos: 32' Intrepid 2016- Profile, 32' Intrepid 2016- Profile, 32' Intrepid 2016- Profile, 32' Intrepid 2016- Profile, 32' Intrepid 2016- Profile, 32' Intrepid 2016- Profile, 32' Intrepid 2016- Profile, 32' Intrepid 2016- Profile, 32' Intrepid 2016- Profile, 32' Intrepid 2016- Profile, 32' Intrepid 2016- Profile, 32' Intrepid 2016- Profile, 32' Intrepid 2016- Aerial View, 32' Intrepid 2016- Aerial View, 32' Intrepid 2016- Helm Station, 32' Intrepid 2016- Helm Station, 32' Intrepid 2016-Helm, 32' Intrepid 2016-Helm, 32' Intrepid 2016-Helm, 32' Intrepid 2016- Helm, 32' Intrepid 2016- Helm, 32' Intrepid 2016, 32' Intrepid 2016- Helm, 32' Intrepid 2016- Cockpit, 32' Intrepid 2016- Cockpit, 32' Intrepid 2016- Cockpit, 32' Intrepid 2016, 32' Intrepid 2016-Stern, 32' Intrepid 2016, 32' Intrepid 2016- Bow, 32' Intrepid 2016- Dive Door, 32' Intrepid 2016- Dive Door, 32' Intrepid 2016- Dive Door, 32' Intrepid 2016- Bow, 32' Intrepid 2016- Bow, 32' Intrepid 2016- Bow, 32' Intrepid 2016- Bow, 32' Intrepid 2016- Engines. 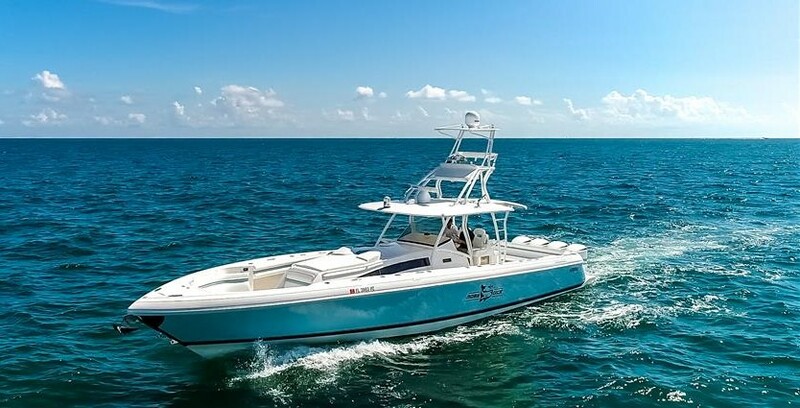 327 Intrepid Cuddy 2016, Twin F300 Yamaha with 229 Hours, Dive Door, Bow Thruster, Aft Swim Ladder, Garmin Electronics Package, JL Audio System, NO Bottom Paint, Excellent Condition. All New Batteries as of 2019!! !